Do Birds Control Their Bowel Movements? Birds have high metabolism and frequent bowel movements, largely because flight necessitates the frequent elimination of excess weight. That does not mean birds have no control over when they go to the bathroom. Birds can control their own bowel movements, but the period of time they can hold their waste depends on the bird -- a budgie, for example, may have 50 bowel movements a day. The number of bowel movements that a bird has per day depends on his size. 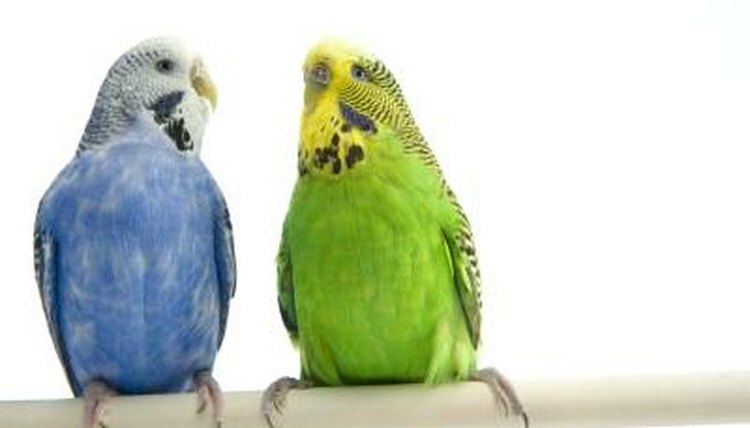 While budgies go dozens of times per day, a larger bird like a macaw may go as few as 15 times. Birds can be trained to control their bowel movements and hold their waste; but unlike domesticated animals that can be potty-trained such as dogs, birds have to go so frequently that rigid potty-training can result in them hurting themselves by holding their waste. Because a pet bird may have to go as often as every few minutes, you should learn to recognize the signs that he is about to have a bowel movement and accommodate him rather than train him to suppress them. If he resists sitting on your shoulder, for example, it may be because he senses a bowel movement coming.